BAFEL – The British Academy for the English Language is one of the renowned IELTS training institutes in Delhi. The institute ensures the best English language learning experience with its various specific English courses. Be it IELTS or a Basic English language course, BAFEL proves to be as one of the most preferred institutes in Delhi for learning English. BAFEL understands the fact very well that every individual undergoes English learning courses for different purposes and requirements. This could be for education, work, personality grooming or any other purpose. Hence, it has designed the courses specifically to meet their requirements. These courses work on all the aspects of English communication such as Reading, Writing, Speaking and Listening in English. IELTS training programme at BAFEL is a comprehensive English learning course. It is designed for those who are seeking to work or study abroad. International English Language Testing System is an essential English language proficiency test. It has to be cleared by the non- native English students who wish to study, work and migrate from Non- English speaking country to an English speaking country. IELTS is recognized by numerous international benchmarks to evaluate reading, writing, listening and speaking proficiency in English. There are around 224 IELTS centers in 105 countries including India, China, Nepal, Sri Lanka, Japan, Pakistan, and Singapore. Every year around 100,000 candidates apply for IELTS and most of them are those who are willing to pursue a career or an employment in those countries where English is the primary language of communication. IELTS is known as one of the most popular and effective language tests to assess the English communication skills of an individual. It is designed in an organized way to evaluate an individual’s ability to Read, Write, Speak and Listen in English. The structure of the exam involves separated sections dedicated to each communication skill. All the sections need to be completed in the given time frame. It is developed by English language experts with inputs from writers all across the world. IELTS examination assesses four abilities of candidates, namely: speaking, listening, reading and writing. Moreover, the examination has two modules: Academic and General Training. Candidates have to choose one of these modules according to their purpose to visit these countries. The Academic IELTS is for those who have applied for undergraduate and postgraduate. Listening and speaking test for both academic and general modules are the same. Therefore, reading and writing section of academic is a little tougher than the General one. The reading section will contain four questions, which have to answer in 60 min. There will be another 60 minutes for the writing section, where you have to write two essays. The first question of writing will be pictorial, you will be provided with pictures, graph or other visuals and you need to write an essay on it. For the second question, you have to write about the general topic. The General Training is simpler and easier than the academic IELTS. However, the questions will be in the same format. BAFEL in Delhi is best known for providing the highest standards of learning English communication skills in their own organized way. The institute has its own R & D team which keeps modifying their IELTS training programme from time to time in order to provide fresh and improved English learning experience to students as well as professionals. The institute also provides a comprehensive study material to the learners for their better preparation. BAFEL has well experienced English trainers who are expert in the English language and provide intensive learning to the candidates. They help the candidates in developing the right skills in all the ways to communicate in English. In addition to training and learning, BAFEL’s team also emphasizes boosting up your overall confidence so that you can communicate with foreigners without any hesitation. BAFEL in Delhi / NCR is located at various centres – BerSarai, Chirag Delhi, South Ex, SatyaNiketan, Dwarka, Mahavir Enclave, Patel Nagar, Najafgarh, PitamPura, Punjabi Bagh, Rohini, Tilak Nagar, Uttam Nagar, Noida, Gurgaon, Faridabad, PreetVihar, Laxmi Nagar and other locations of Central, West, East, North and South Delhi. All the centers of BAFEL are well-equipped e-learning facilities. They follow audio and video approach for the better learning experience to the candidates. They also make effective use of A-grade English newspapers, movies and shows to make the concepts of accent and pronunciation of English clear for candidates. Their high-end training sessions for IELTS preparation are interactive in which every candidate gets personalized attention from the experts. This helps them clarify their queries and improve their communication skills. Their English experts also focus on having one – on – one conversation with each candidate individually. This way, the candidates get encouraged to speak in English simultaneously knowing where they went wrong. One can come up with volumes of articles to describe why you should choose BAFEL for IELTS Institute in South Delhi; but, the simplest answer will be – you should join BAFEL to qualify and score better in IELTS. By joining such Institutes your chances for qualifying the test will be increased remarkably. As the staff and top-notch IELTS teacher know how to create a favorable environment to promote learning. For the speaking section, we enlist different methods and all of them are entertaining. With the games and activities, we teach our students how to speak correct and fluent English. We work on the students’ psychology to develop a curiosity towards the learning. 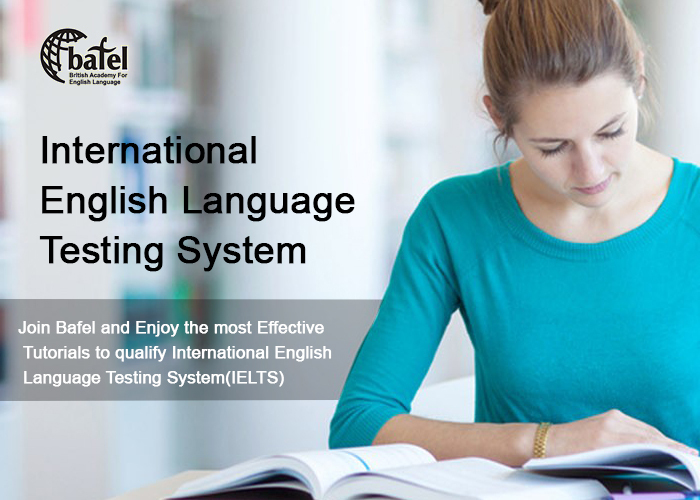 Moreover, the intellectuals at BAFEL have designed the most effective curriculum to qualify the test like IELTS and develop impressive language skills.